When Jess and Clare Martin move from Williamsburg, Brooklyn, to their former college town in the Hudson River valley, they are hoping for rejuvenation—of their marriage, their savings, and Jess’s writing career. 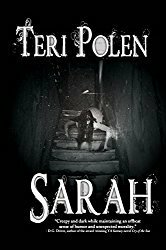 They take a caretaker’s job at Riven House, a crumbling estate and the home of their old college writing professor. While Clare once had dreams of being a writer, those plans fell by the wayside when Jess made a big, splashy literary debut in their twenties. It’s been years, now, since his first novel. The advance has long been spent. Clare’s hope is that the pastoral beauty and nostalgia of the Hudson Valley will offer some inspiration. Reading The Widow’s House was a strange experience for me because rarely have I come across a book in which I disliked so many characters. That being said, this is a wonderful blend of gothic and twisty psychological suspense and once I reached around the halfway mark, I honestly wasn’t sure which direction this story would take. And I still wasn’t certain until the last several pages. So, yeah – it’s compelling. The setting is modern day New York, but Riven House might as well be an old ancestral manor in the English countryside. With a long tainted history, it holds many secrets that are gradually revealed as the pages are turned. 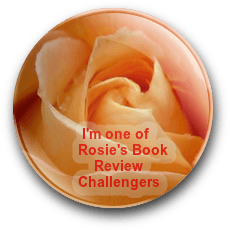 Toward the end of this book, like Clare, I wasn’t sure what was real anymore and questioned everyone’s motives and actions – which thrilled me as a reader. Getting back to the characters – I’ll focus on Clare. It’s difficult for me to connect to a story when I can’t get behind the MC. Clare isn’t very likable for various reasons, but for me, it’s because she considers herself inferior to her husband and is constantly worried about upsetting him, and when there’s friction between them, she looks for another man to rescue her. Slather some paranoia on top of that and you’ve got yourself a basket case; however, I’ll say that some of her behavior makes sense at the end. Although I didn’t care for most of the characters, the plot was strong enough to hook me and I’d recommend this to fans of psychological suspense. 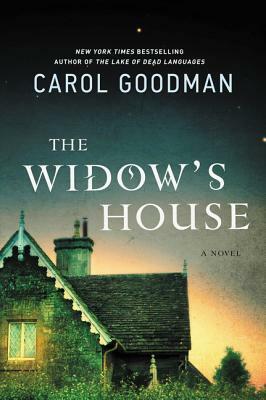 The Widow’s House is scheduled for publication March 21st, 2017. Thanks to Edelweiss and the publisher for the ARC. I usually need to identify with the characters to enjoy a novel, but it sounds engaging. So do I, but the suspense and twists kept me going with this one.